Reach for the money! Scholarship help is here! Want to apply for scholarships but don’t know where to begin? 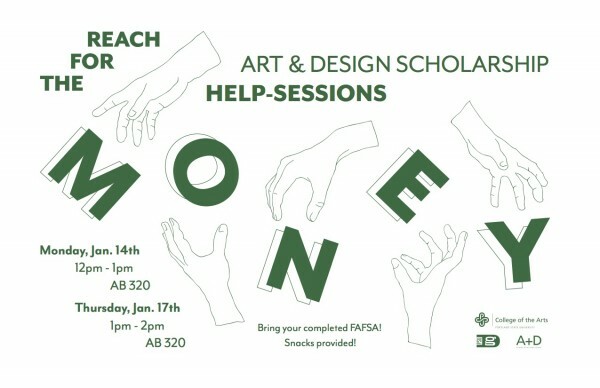 Come to an very special School of Art and Design scholarship help session in January! We’ve scheduled two sessions to help you out. Bring your completed FAFSA—faculty and staff, including COTA advisor Anna Pittioni, will be present to help explain the process and answer your questions. Snacks will be provided, too! Scholarships are available for Art, Art History and Graphic Design majors. You can’t get one if you don’t apply. Reach for the money! Remember: the deadline for all scholarship applications is February 1! It’s time for Winter Fresh! March 20th at Kamp Grizzly! It’s time for the Winter 2018 edition of PSUGD’s FRESH! You are invited to our senior portfolio show! On March 20th, please join us at Kamp Grizzy for drinks from Deschutes, pizza from Baby Doll and lots of PSUGD work! 12 soon to be graduated seniors are excited to share and show their work with you all. Stay tuned for class site and a preview of their work! High Fives and Pizza Pies! 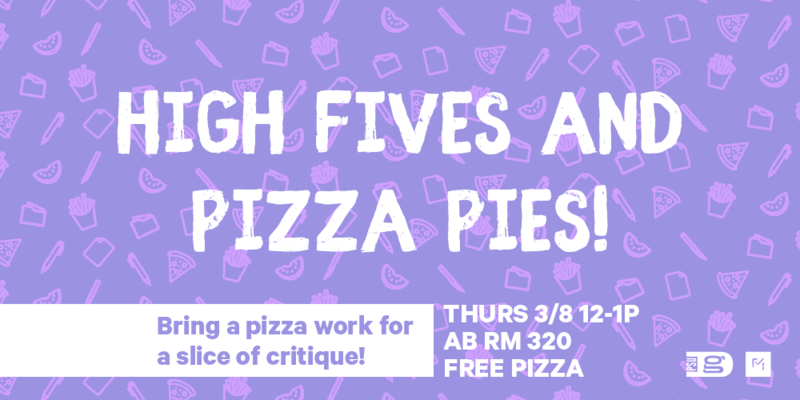 MENTEES, MENTORS, and any sophomores preparing to go through the review: COME TO A CHILL INFORMAL CRITIQUE AND PIZZA PARTY HOSTED BY THE MENTORSHIP PROGRAM! Bring a pizza work for a slice of critique! Did you want to get some quick feedback on a project before the end of term? Were you wanting to go over some sketches you have for your portfolio format? Or talk about what sort of review things you can do over break? Just want some folks to commiserate about finals and eat pizza with? Then come hang out with us! Bring projects, sketches, or other process work to get feedback on. SOPHOMORES! Don’t forget to sign up for mentorship! 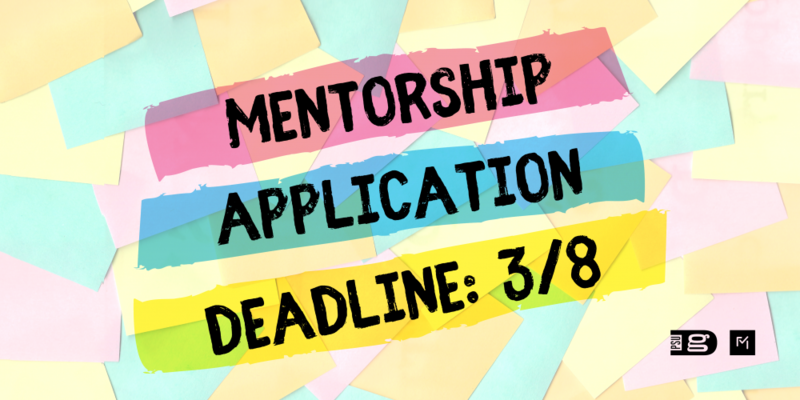 We want to get you paired up with a super cool mentor before spring break, so make sure to apply before the end of the day this Thursday (3/8) to reserve your spot! To apply fill out this google form: tinyurl.com/menteetime. 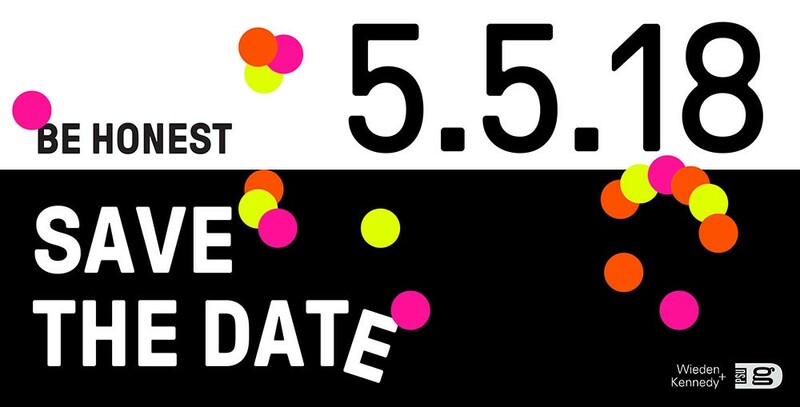 Save the Date: Be Honest! Be Honest 2018 is the 9th annual Portland State University Graphic Design (PSUGD) student portfolio showcase! It’s part portfolio show, part party, part open house, part alumni reunion, part pop-up shop, and ALL FUN. 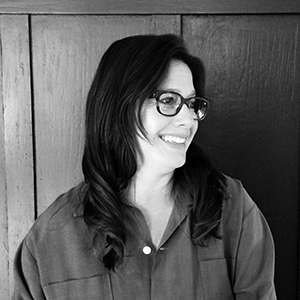 Be Honest serves as a valuable opportunity for Portland State University graphic design students to gain experience presenting their work and engaging with the community, and for creative professionals to provide their feedback and support. Come and celebrate with us, and check out all the great things coming out of the PSUGD program!